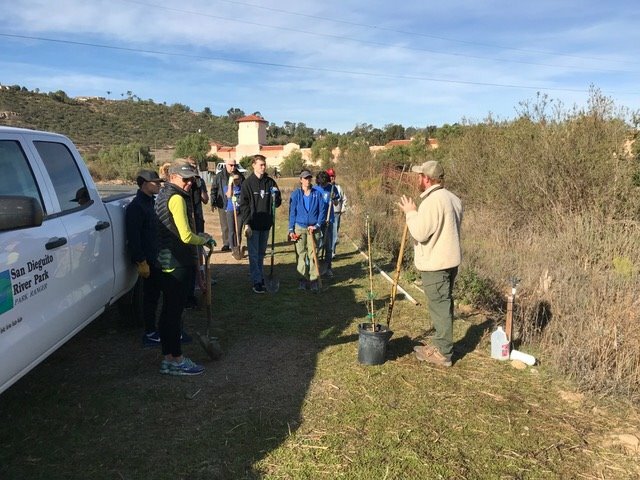 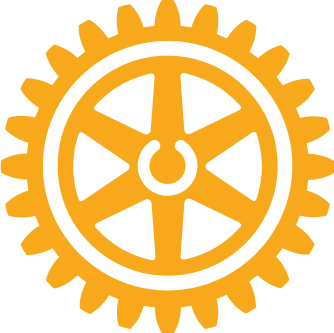 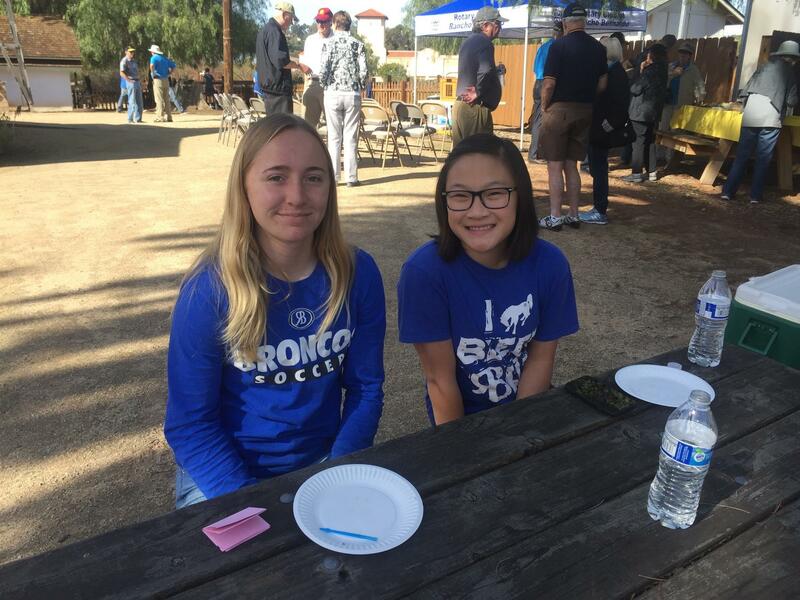 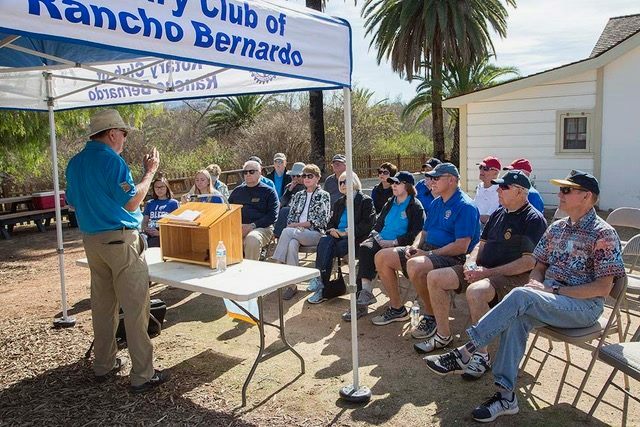 Yesterday was another great day for Rancho Bernardo Rotary as members, Interact students and teen volunteers completed the “tree planting” project at San Dieguito River Park”. 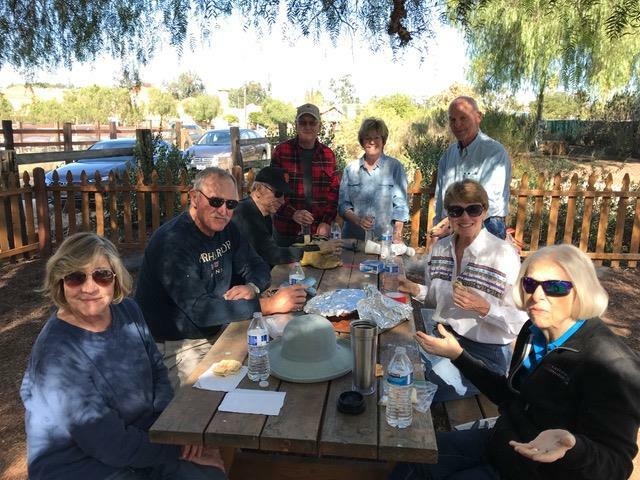 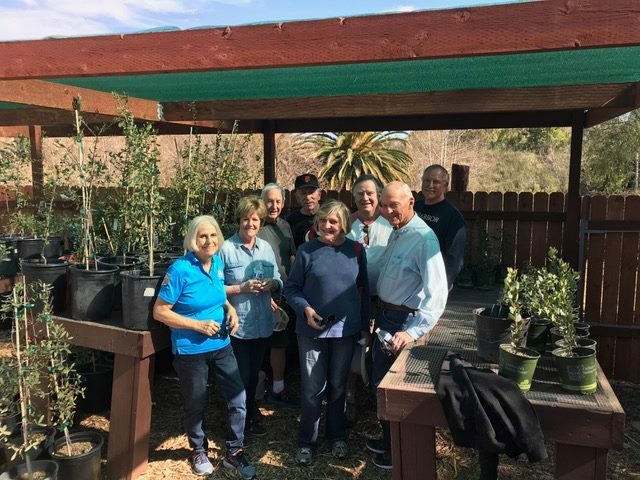 On Wednesday a dozen members prepared for the planting by cutting “chicken wire” and then Saturday the larger team lead by Chairman and President Elect Doug Dawson planted 70 trees in various areas around Sikes Adobe. 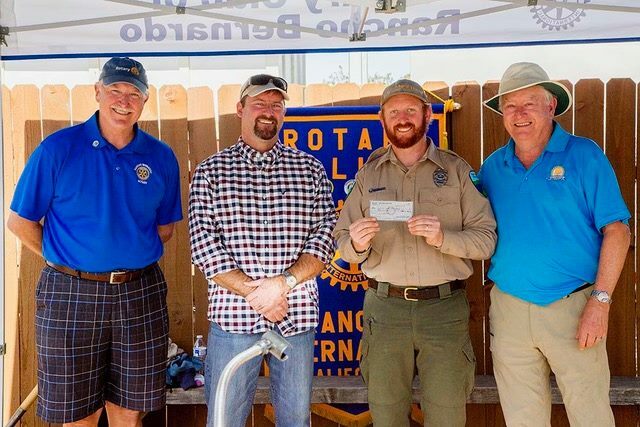 After several hours of labor everyone gathered for refreshments and a celebration where Doug presented a check of $1000 to Ranger David and SDRP CEO Kevin. 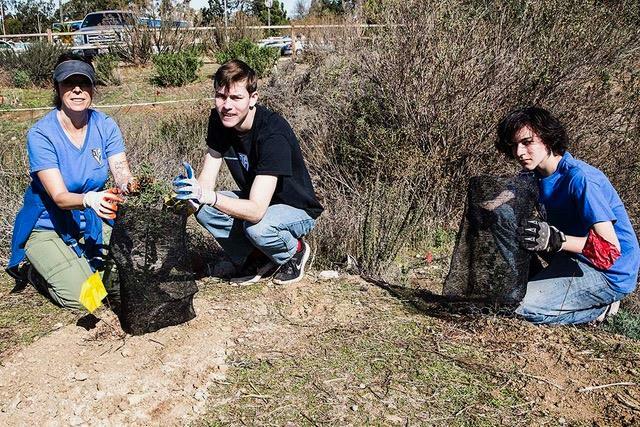 Coupled with the 14 trees planted at Abraxas High last month, this puts RBROTARY at 20% above the goal and commitment to RI’s goal to plant one tree for every member. 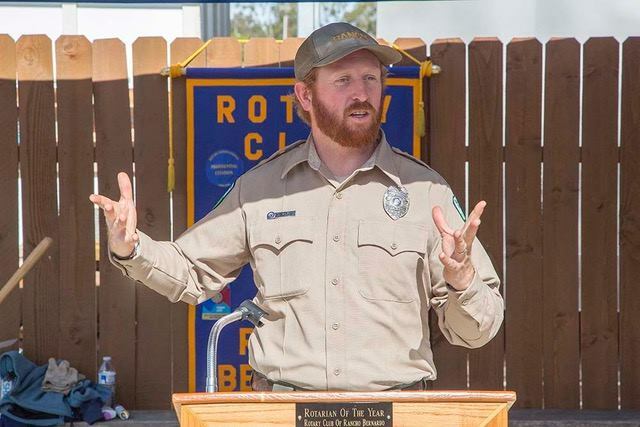 Well done Doug!! 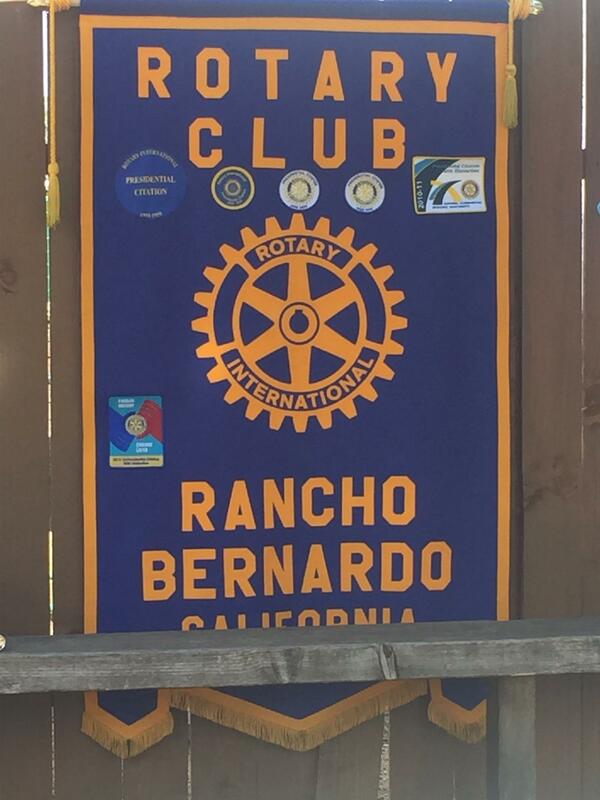 And thank you to all of the “laborers”.